A very cool blog named RebelMom came to my attention when my friend Stacia Vinar, a designer/high end furniture expert (and urban farmer), was featured. Thara Pillai has created a blog for the modern mom, writing about relevant topics from fashion to food to fun. 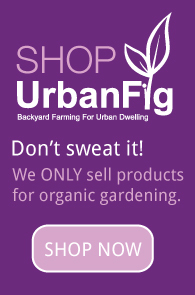 This week, she was kind enough to interview me about urban gardening. You can check out the article on RebelMom here. Previous post: Leaf Minors – What’s Leaving Those Weird Veins on my Leaves?